If you know me, you'll know that I love nail art. 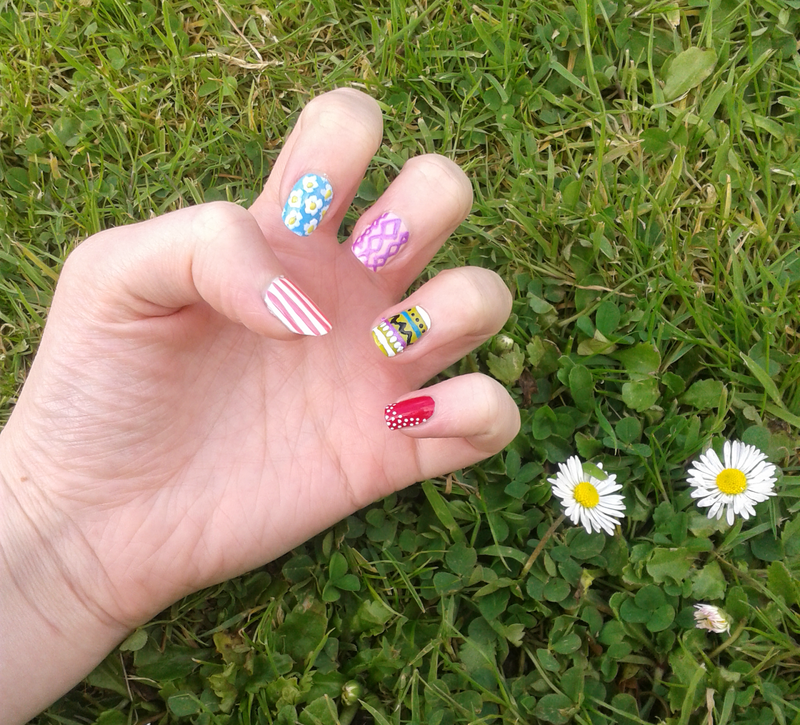 Whether it's aztec pattern, polka dots, watermelon inspired or an intricate floral display, I really enjoy creating art on my nails (just as much as I love marvelling at it afterwards!). The love affair began when I picked up a dotting tool for just 25p in a charity shop. 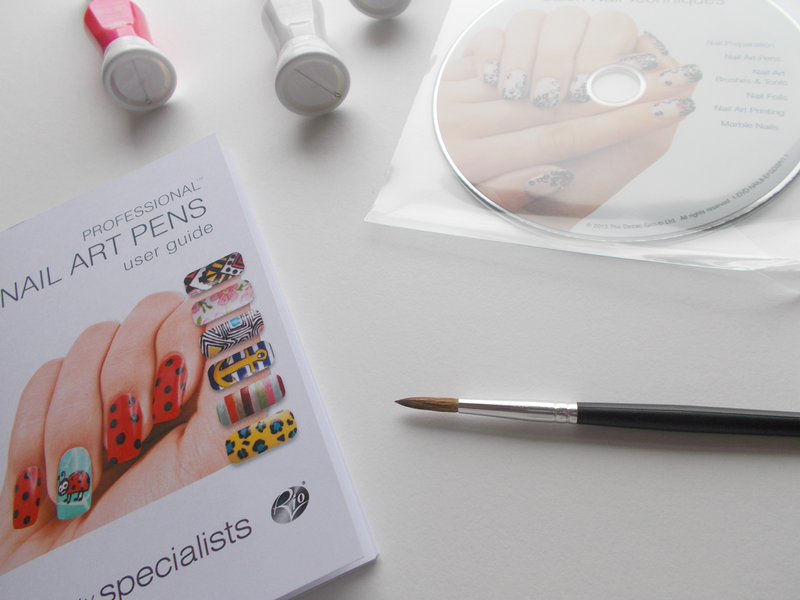 Don't get me wrong, you can do a lot more than just dotting with the thing, but I always longed for some nail art pens which could make the job easier as well as allow me to create more detailed and artistic designs. I was very lucky to be sent this of Rio Professional pens c/o the lovely Eve of The Hut Group. She saw my watermelon nail art and very considerately thought I'd enjoy these. She wasn't wrong! 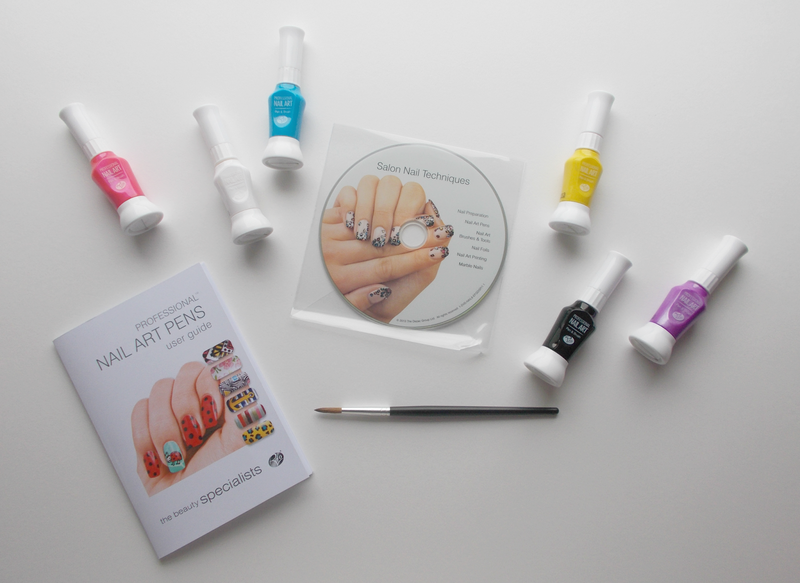 You get so much in the set; 6 nail art pens, a paintbrush, a DVD and a booklet full of useful tips and information that you'll actually want to read. If you get the set from BeautyExpert, you can get it all for £19.99 instead of the £24.99 it usually is! I can truthfully say I think it's worth the price for nail art addicts like myself and it would also make a really lovely gift come Christmas or birthday time for a friend. Plus, when you consider one pen alone will cost you £5.95, if you were buying 6 pens seperately that would set you back £35! The paint itself comes encased in a very well designed bottle. If you twist the lid off you get a long, thin brush which is great for painting straight lines. When you pull the lid off you reveal a needle-like detailing tool which you squeeze the bottle to apply. I find this method to be fantastic for dots and drawing intricate details. If this ever gets clogged with polish, they've even provided you with a handy pin to unclog it! It's clearly a well thought through bottle, however if I was to pick a fault - well, not really a fault - but I would say that when you pull or twist the lid off you have to be very careful if your polish is still slightly wet as it's really easy to smudge it. My tip would be to make sure your base polish is thoroughly dry before attempting any art. This pack is Rio's neon selection. I wouldn't exactly call them neon but they are bright and peppy colours with a very decent amount of pigmentation. The pink and purple are quite pearlescent which make for nice additions, while the yellow and blue remain true, non-shimmer shades. The black and white are also very useful to have so I think it's really advantageous they haven't skipped on those, this being a 'neon' set. Filled with handy tips, this book is really worth a read through. 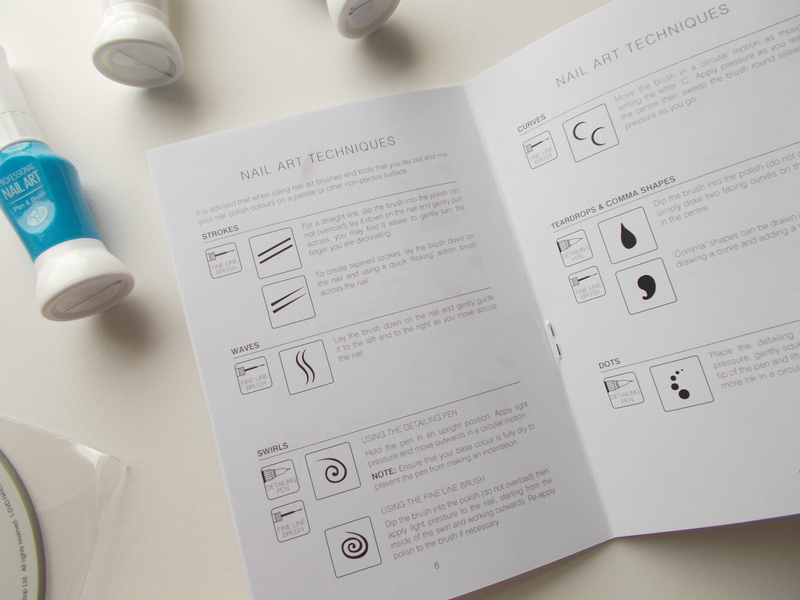 It not only describes how to create techniques but also how to take care of and prep your nails. At the back you get four pages filled with inspiration so it's a great thing to have on hand if you're ever short of a good idea! They can all be achieved with the pens and a little practice. The DVD does cover a lot of what's already in the booklet, but the visual aid makes it that bit easier to grasp explanations. You're shown how to take care of your nails, make your polish stay on the nail longer, and of course how to create simple shapes and patterns. It's nothing too lengthy but I think they could have perhaps taken a little extra time to demonstrate some popular nail art looks such as leopard print, ombre and the likes but I guess they're just letting each individual have their own creativity! * You can use the pens to 'glue' gems, studs and other decorations down to the nail. 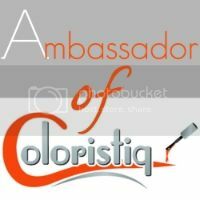 *A clean, oil-free nail will help polish last the longest so make sure to remove any existing polish and wash your hands before painting. *Always secure your design with a clear topcoat to ensure it's longevity. Rio have also added a brush which you can use for dipping into polishes for an all over colour. For me, it won't be something I'll be using very often for nails. It's just a bit unnecessary when I can just as easily use the brushes that come with my regular nail polish bottles. However if you want to use the paint from the pens then it's always a possibility. I do think it's a nice touch that they added it though and I'll be using it for painting pictures as it's still a very respectable brush! As you can see here, it's possible to create all sorts of shapes and patterns. A lot of people disregard nail art because they think it's too complicated but these pens really do make it so easy and cut out a lot of the faffing. 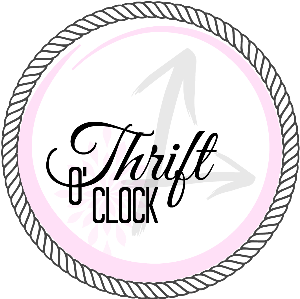 It's actually a lot of fun to do when you have the time to sit down and get creative! Even if it's just a simple pin stripe or polka dot, or if it's a slightly more complex daisy or aztec print you can create it. 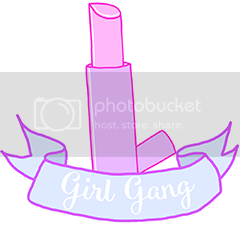 As I said before, the set would make a great gift and getting the girls round to do some nail art together would make for a good night! The proof of the pudding is that even my brother commented on these, and we all know how little the male kind, especially those around the 14 year old mark, care about makeup and nails! In short, I can vouch for these pens and truthfully say I love and highly recommend them. 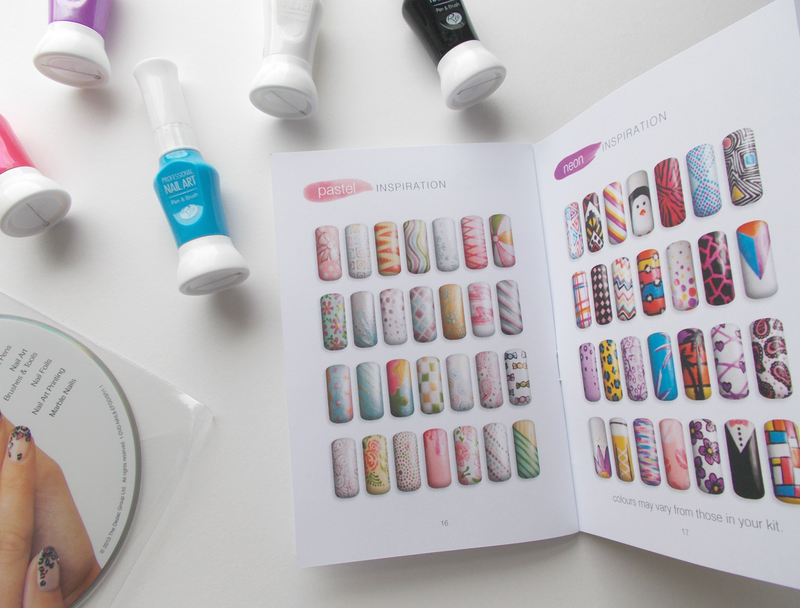 You can expect some more nail art posts from now on! You can browse the other Rio nail products BeautyExpert.co.uk have here, including foils, metallics, holographics - you name it they have it! What would you like to see me create with these pens? Share your favourite mani idea with me in the comments below! This post contains products which were sent to me for reviewing purposes but all opinions are honest and my own.